Medical discovery and innovation across three centuries. 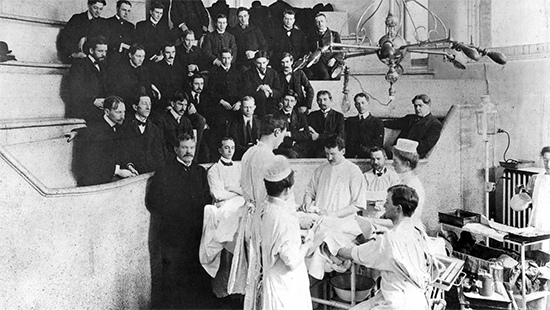 Northwestern University Feinberg School of Medicine was born in Chicago over 150 years ago. We’ve contributed greatly to medical discovery and education in that time, as well as contributed to the growth and change of the city we are proud to call home. Learn more about our history via the links below. Source: Northwestern University Medical School: 1859-1979, a pioneer in educational reform, by Leslie B. Arey.